The government has collected details of more than ten thousand properties owned by Pakistani nationals in the United Kingdom and Dubai. "We have received details of those holding foreign assets and 10,000 properties owned by Pakistanis in the United Kingdom and United Arab Emirates have been traced," Prime Minister Imran Khan’s special assistant on accountability Shahzad Akbar revealed in a press conference along with Information Minister Fawad Chaudhry in Islamabad today (Friday). Shahzad Akbar said list of properties have been divided into two portions, one for Politically Exposed People and one for rest of the people. In the first stage, inquiry has been initiated against 895 foreign properties. The special assistance also stated that another two flats in London owned by former finance minister Ishaq Dar have been traced. Officials from National Accountability Bureau and Federal Investigation Agency will investigate the cases, he added. "We have spoken to the Swiss government and will speak to other countries as well regarding hundi hawala," Akbar said, adding that the government is working to ratify treaty with Switzerland to get information about Swiss accounts. Shahzad Akbad said a progress report of the recovery unit is being submitted in Supreme Court fortnightly. The special assistant said notices will be issued for payable amount to former Chief Minister Punjab and his family for using Prime Minister’s helicopter. 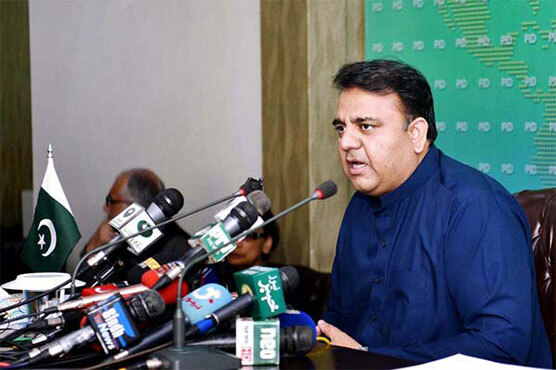 Speaking on the occasion Information Minister Fawad Chaudhry said notices have been issued to one hundred and fifty seven people who have not filed their tax returns. He said attracting foreign investment facilitating businessmen and crackdown on corruption are three pillars of government s economic policy. During the presser, Chaudhry also revealed that Rs1 crore was taken from the national treasure for the treatment of Senator Mushahidullah Khan.